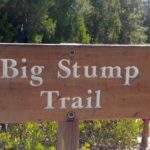 Big Stump Loop Trail is a 2 mile easy trail great for all skill levels. It’s conveniently located just past the Big Stump Entrance to Kings Canyon National Park on Highway 180. You can walk right up to some Giant Sequoias and give them a hug. 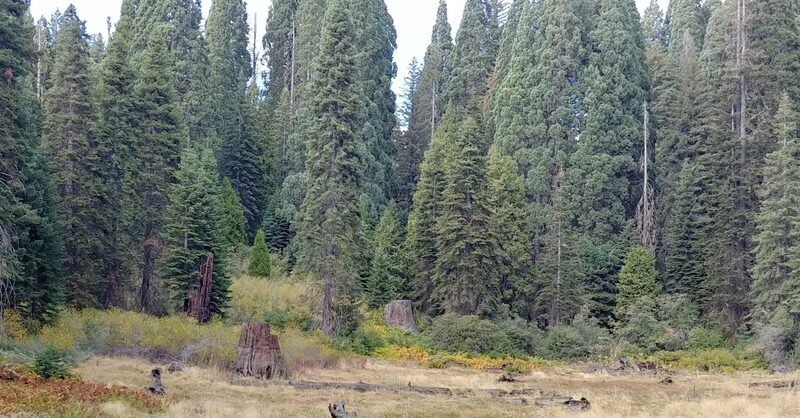 Plus you can see first hand the devastation that logging played on our beautiful Sequoias. There are many stumps to see, including one you can climb onto. There is also a shattered giant on the ground that you can climb on and walk across. The trail is mainly flat with gradual inclines and a few steps at the beginning. You will need to cross the highway near the entrance to access the second part of the trail. Trail is mostly shady, with a few areas of sunlight. 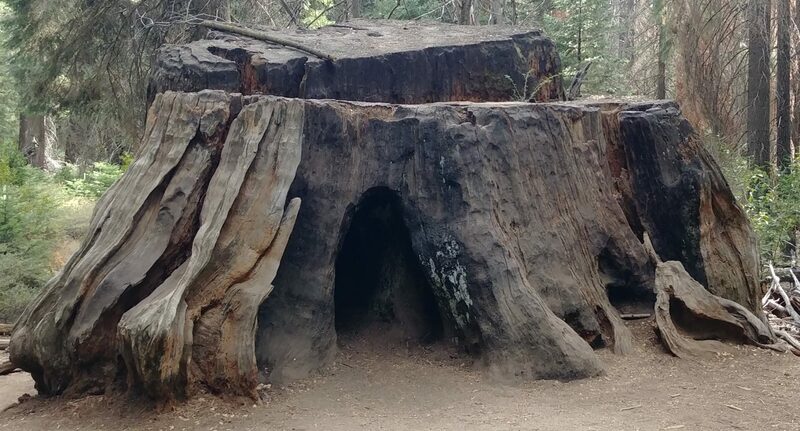 There are several big stumps you can climb onto, as well as a fallen sequoia you can walk across. Entrance fee varies, but starts at $35 per car for a seven day use. Annual passes are also available.